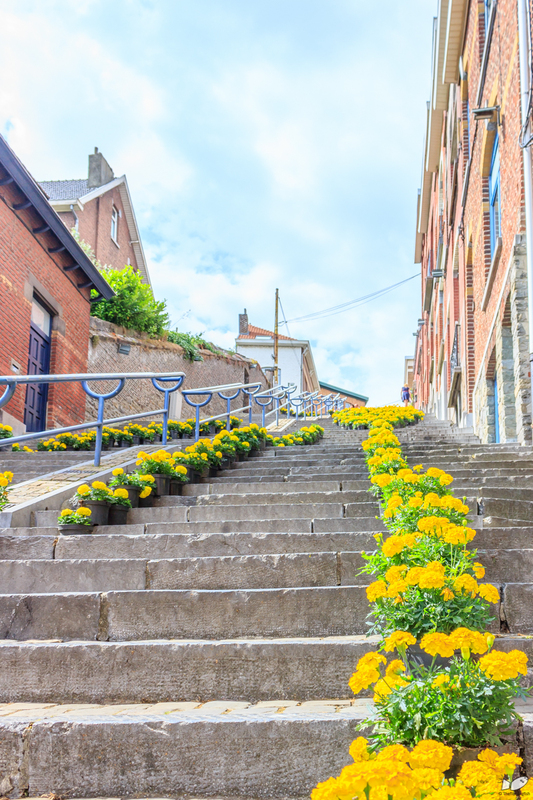 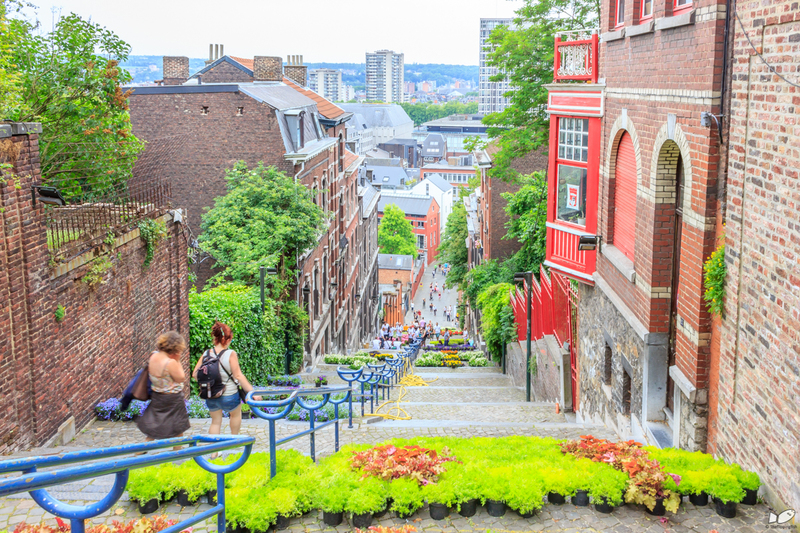 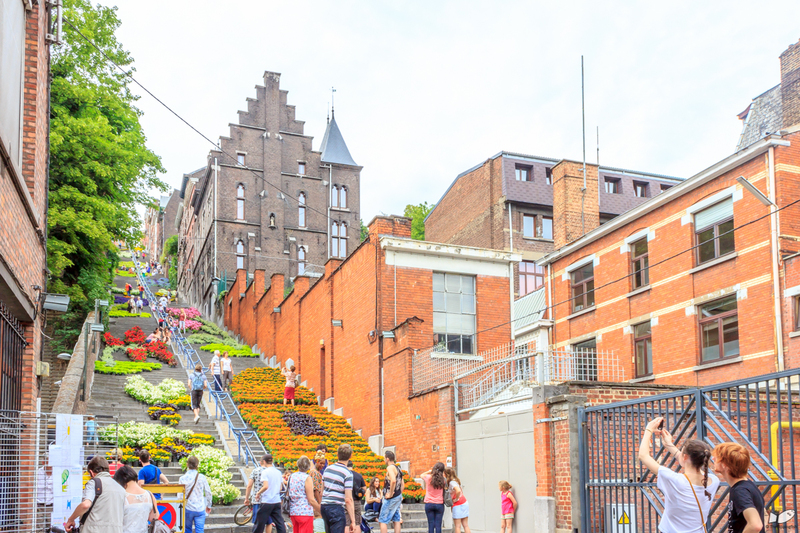 The stairs of the Montagne de Bueren were filled with potted plants and flowers for an exhibit called “Bueren en Fleurs” organized by the plantation de la ville de Liege. 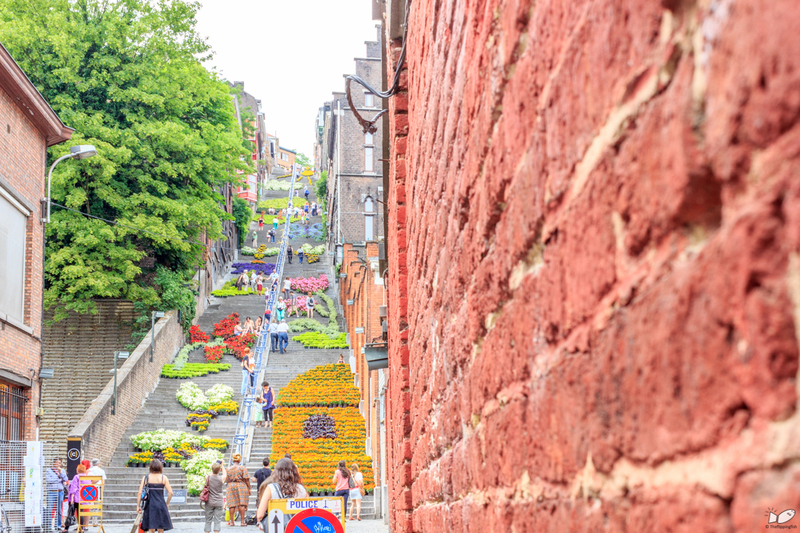 Bueren en Fleurs is a biennial event that happens usually at the beginning of June and this year is just the third installation of the exhibit. 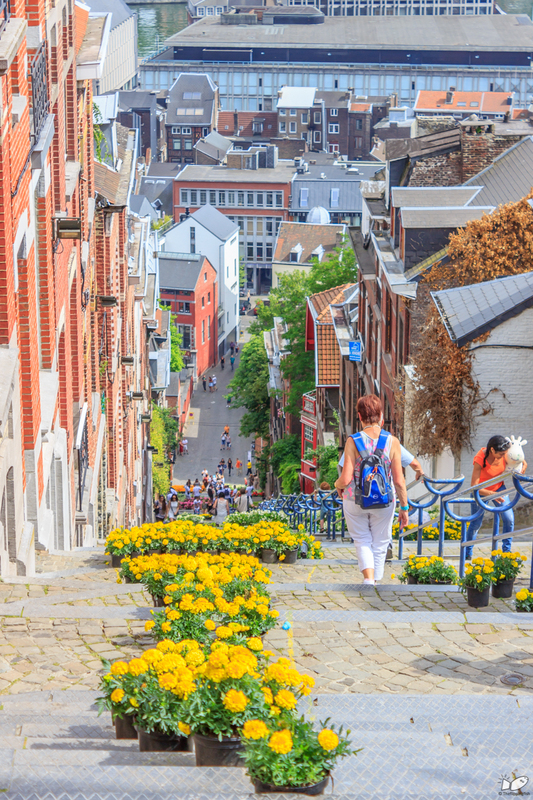 Montagne de Bueren is a unique spot in the historic core and can be considered as an icon of the city (you can find out more HERE). 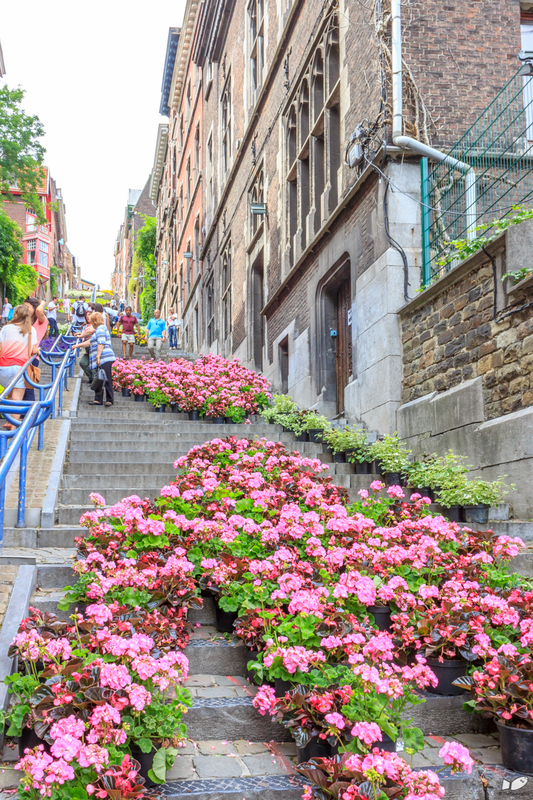 It is so refreshing to see the flowers in the stairs, because on any given normal day the Montagne de Bueren can be intimidating to hike. 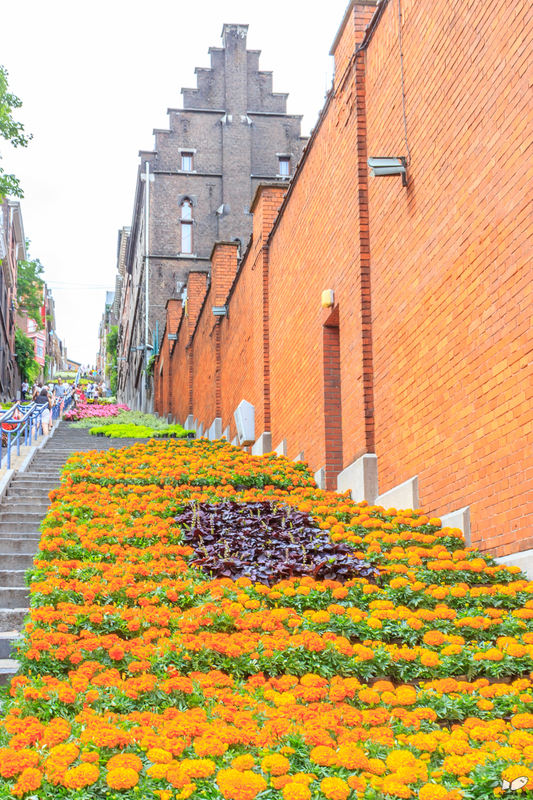 The flowers were arranged to form different shapes and patterns. 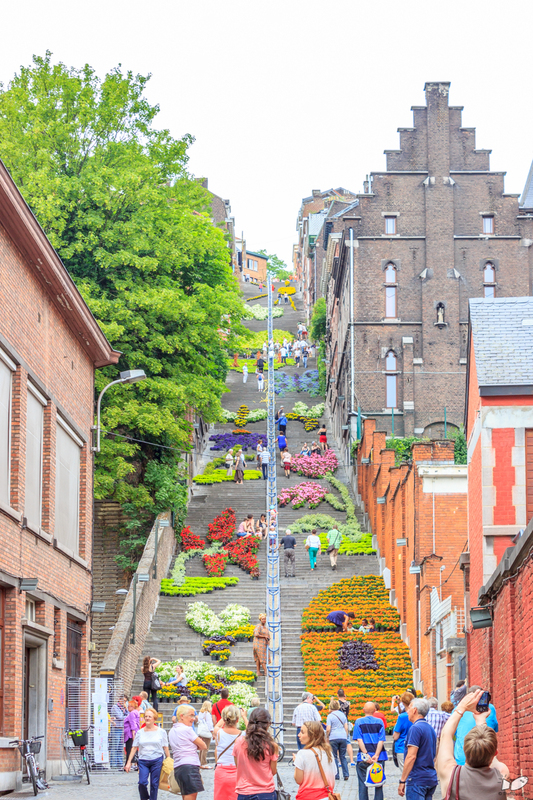 The description says that this year they put about 24,500 flowers on display. 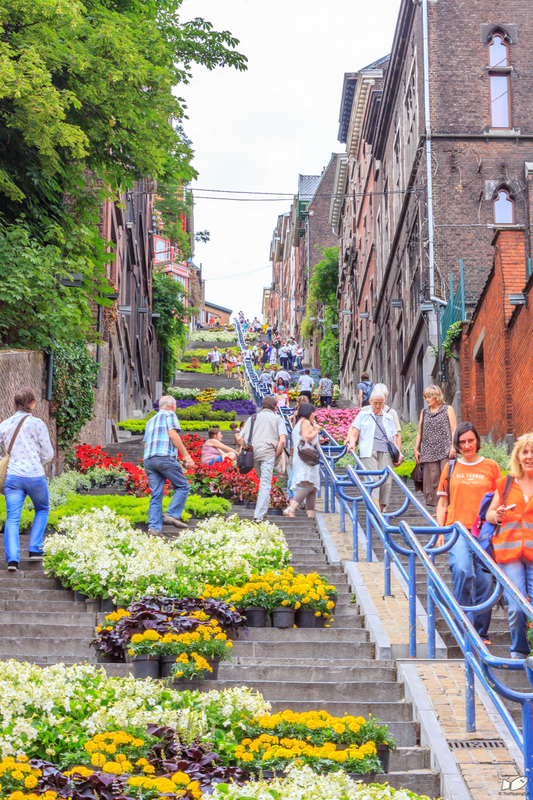 People crisscrossing between the pots. 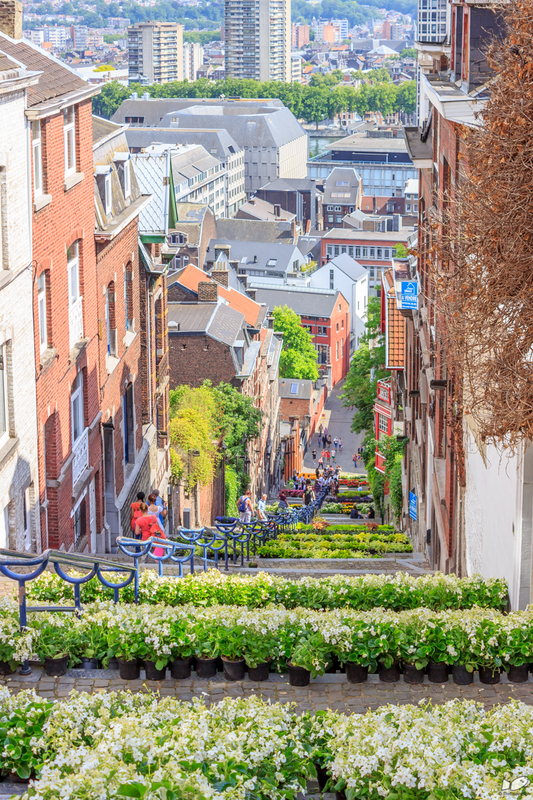 looking down from the middle section of the stairs. 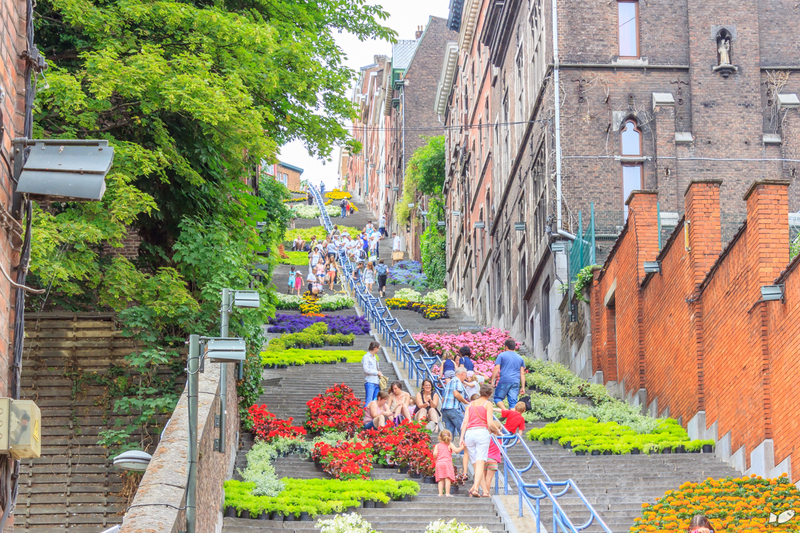 it ‘s like a terrace with a garden.